Ok stamping friends – this is a seriously GREAT deal for new Paper Pumpkin subscribers!! I mean, the value of this kit far exceeds the $7 you’ll pay for this special offer – I mean, have a look at what you can make with this amazing kit! This is SO STINKIN’ CUTE!! You get product to make 4 Gift Bags with tags & ties, PLUS 6 cards, with envelopes!! Of course, you get the exclusive stamp set, plus the ink spot, and lots of product left over to use in other projects. If you want ideas on making different projects using the kit, then you can check out the Paper Pumpkin Pinterest page for a gazillion fabulous ideas for this kit, and others! If you’d like to watch a recording of the Live-Stream ‘reveal’ that SU! did last night for this kit, have a look HERE to watch or watch below. Brandy and Carrie show you what you get in the kit, and give you lots of alternate ideas, in this video. 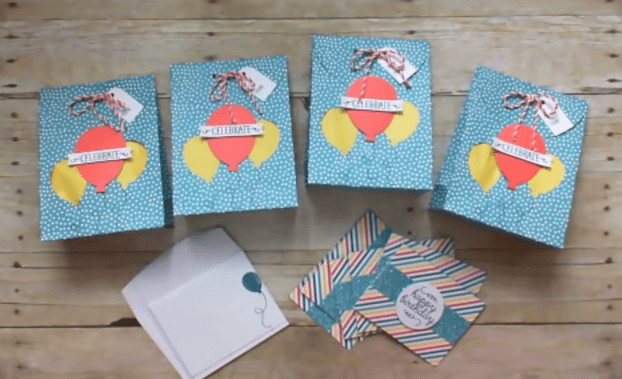 Seriously – if you are new to Paper Pumpkin, JOIN NOW!! This deal has never happened before, and I doubt it will happen again! Pay only $7 – this includes shipping! and get this amazing kit for yourself, or as a gift for your Mom, or someone else. C’mon – the shipping alone costs more than $7!! Simply CLICK HERE to join – enter promo code 24HOURS (all together, in CAPS), choosing me, Deborah Smart as your Demonstrator. If you would like a gift card that you can print out & complete, to give to your Mom, send me an email at debsmart@shaw.ca, and I will send you one! It’s that easy! BUT – YOU MUST DO THIS BEFORE 7:50 pm (Pacific Time) to get this deal. Let me tell you; I had originally planned on taking a break from my subscription for this month – but once I saw this cute kit, I went and adjusted my subscription to make sure I get it!! I think it’s that cute, and I know I will get tons of use from it! Previous Previous post: 24 HOUR MEGA-DEAL ON PAPER PUMPKIN!! Next Next post: Weekly Deals, Paper Pumpkin Special & Upcoming Sneak Peek!